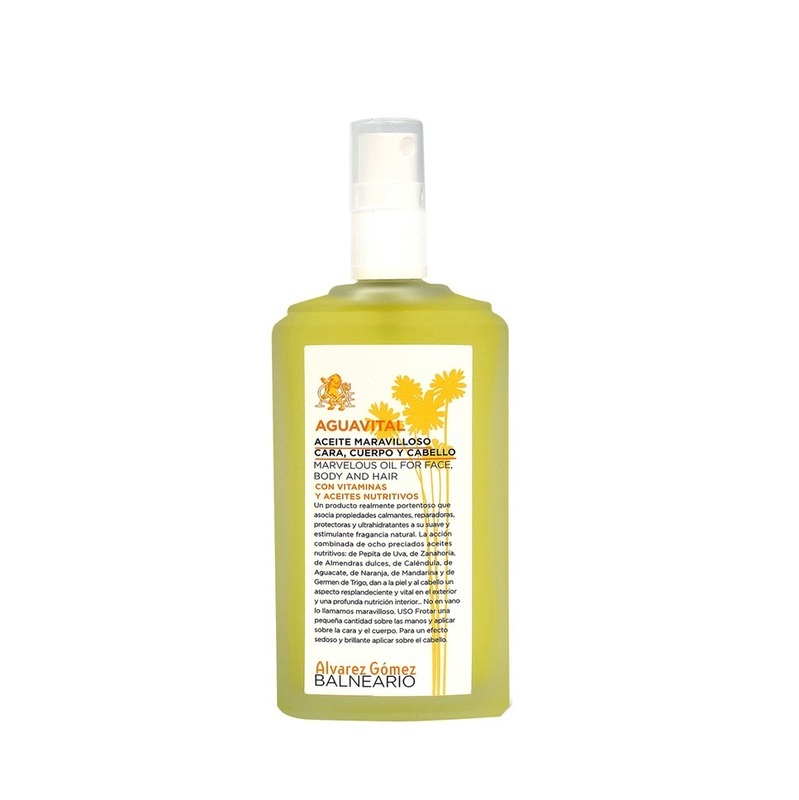 Formulated with Calendula Oil, Sweet Almond Oil, Avocado Oil, Grape Seed Oil, Tangerine Oil, Orange Oil, Carrot Oil, Wheat Germ Oil and Vitamin E.
Alvarez Gomez Aguavital Marvellous Oil for Face, Body and Hair is a dry oil that protects the skin and leaves it silky and nourished. Formulated with Calendula Oil, Sweet Almond Oil, Avocado Oil, Grape Seed Oil, Tangerine Oil, Orange Oil, Carrot Oil, Wheat Germ Oil and Vitamin E. The combined action of eight beneficial essential oils gives the skin a radiant and silky glow, and is also soothing and nourishing. 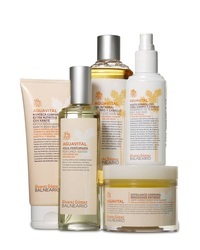 Key Ingredients: OILS: Pepita grape, Orange and Tangerine, Carrot, Avocado, Wheat germ, Sweet Almond, Calendula. ESSENTIAL OILS: White Grapefruit, Lemon, Tangerine, Rhubarb. In treating skin: Spray on the area and make a stimulating massage upwards. In hair treatment: On clean, damp hair, apply a sufficient amount and spread on the hair and scalp (comb then if desired). 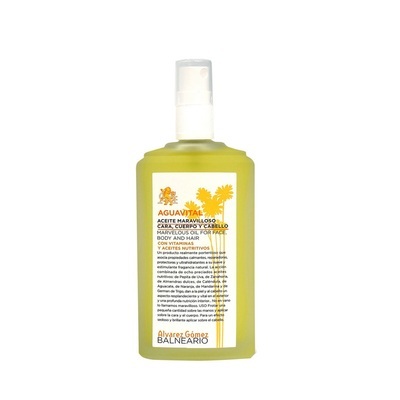 Also be used in dry hair to the tips for a restructuring effect. In nails and toes: Apply a drop of "Wonderful Oil" and massage into the cuticle, circular motion.